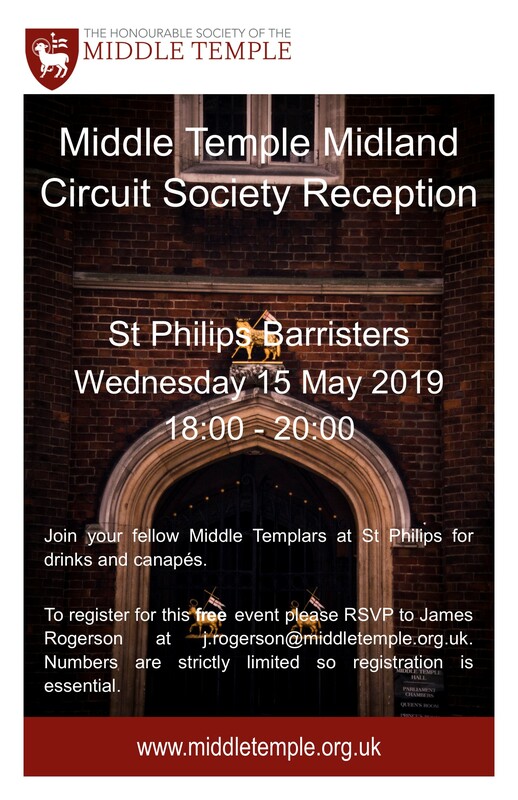 Join your fellow Middle Templars at St Philips for drinks and canapés. To register for this free event please RSVP to James Rogerson at j.rogerson@middletemple.org.uk. Numbers are strictly limited so registration is essential.